Additional Info: Fitted with dish and wiring for Sky Q. Guests will need to bring their Sky Q box, viewing card and scart / HDMI cables. Bookings are secured with a £200 non refundable deposit, full payment is required 10 weeks before the holiday. All bookings taken are for 7 nights (Friday to Friday). Bookings of less than 7 nights are only considered outside of peak dates. PLEASE NOTE THE PRICES QUOTED DO NOT INCLUDE ENTERTAINMENT PASSES. THANK YOU VERY MUCH FOR YOUR INTEREST. WE DO ACCEPT DOGS. 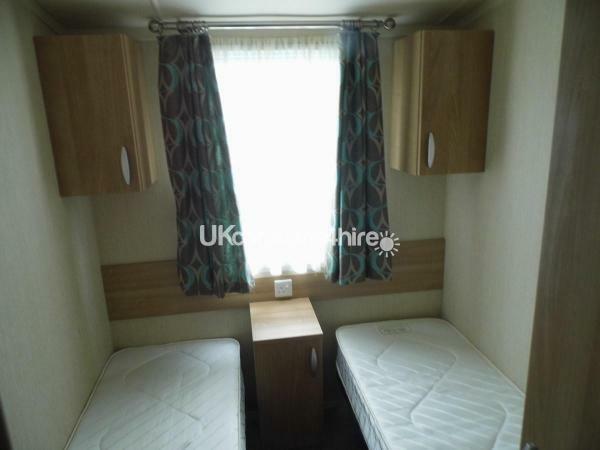 OUR CARAVAN IS STRICTLY NO SMOKING, IF YOU THINK THIS MAY BE A PROBLEM FOR YOU, WE RESPECTFULLY ASK THAT YOU DO NOT ENQUIRE. Tucked away in the quiet Avocet area of Kiln Park, our caravan is the perfect place for a family holiday and a relaxing break to get away from it all. 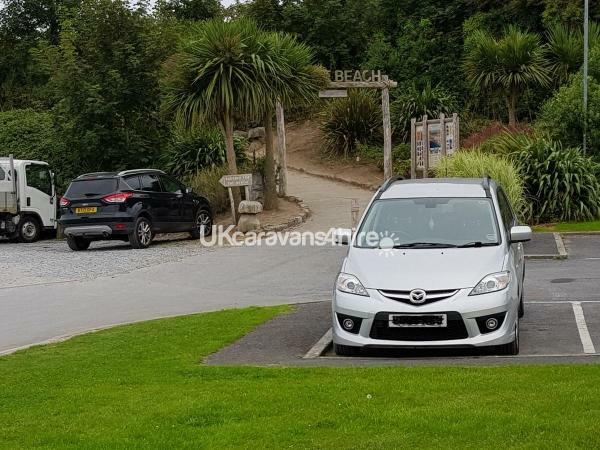 Our caravan is just meters away from the beach path which means that Tenby’s stunning South Beach (which is part of the beautiful award winning Pembrokeshire Coastal Path) is just a five minute stroll away. We are located less than a minute from the on-site grocery store and a few minutes from the entertainment complex (which includes a wide range of entertainment and an indoor pool). We are also a very short walk from the children’s play park and the outdoor swimming pool. 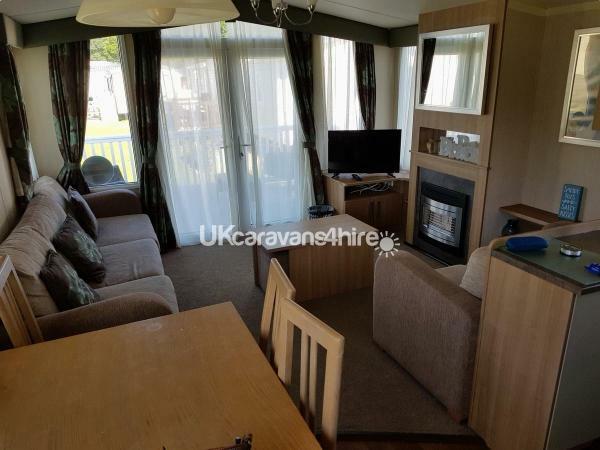 There is ample parking right outside the caravan together with a veranda and patio area. 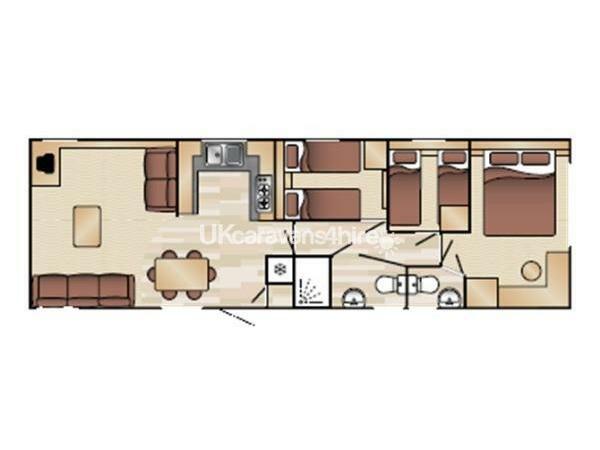 Our caravan, which was newly acquired for the 2016 season, is a 2013 Swift Bordeaux (38 ft x 12 ft). 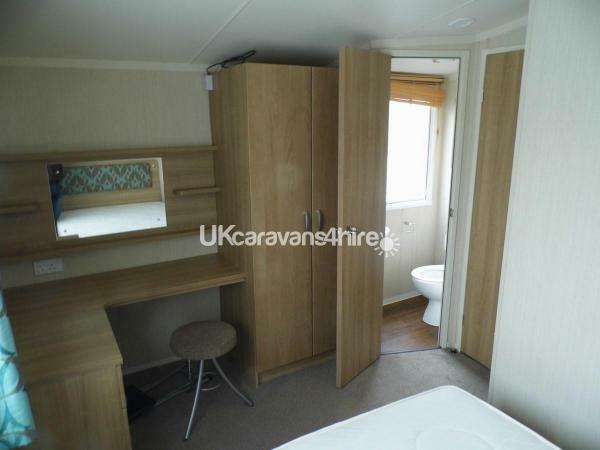 The caravan is modern and furnished and equipped to a very high specification. 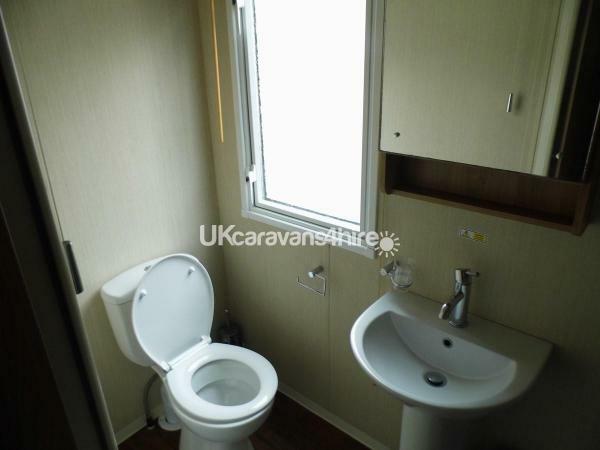 The caravan is fully maintained and thoroughly cleaned after every use. We have three bedrooms (one double room and two twin rooms), two toilets, a shower room with wash basin, and very comfortable living area. 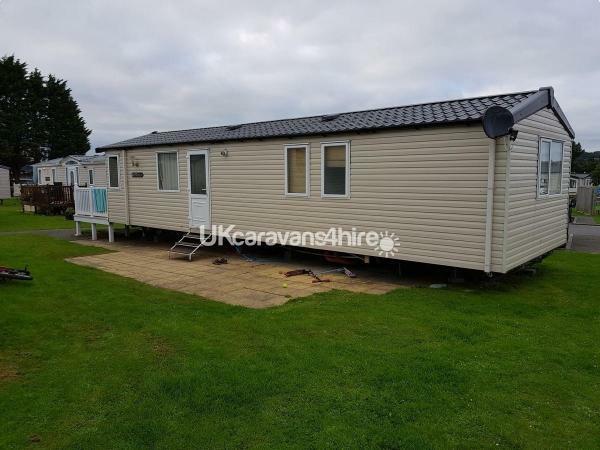 Our caravan is graded at the highest 'Prestige' rating by Haven and our rates represent a substantial saving on Haven prices. All pillows and duvets are provided, however please bring your own pillow cases, duvet covers and sheets. We have installed a 32” flat screen TV (with all Freeview channels). We also have a fully equipped kitchen area which includes all cutlery, crockery, a cooker, microwave oven, fridge / freezer, toaster and kettle. 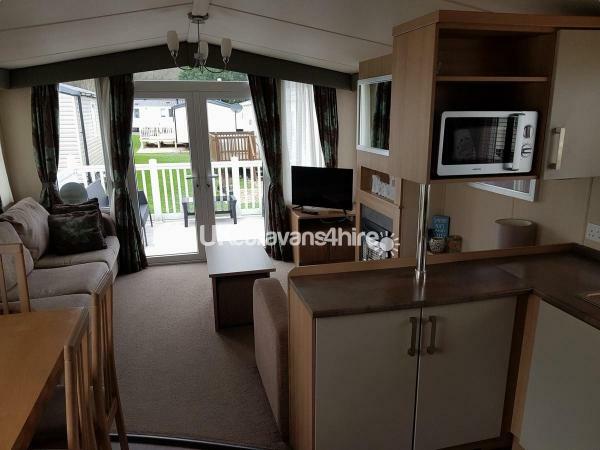 The caravan has double glazing and central heating, and a gas fire in the living room. Gas and electricity is mains connected and included in the price. Access to the entertainment complex (Funworks) is by pass only. This is payable locally but I can send you an application form in advance to save time once you have arrived. On site facilities include a multitude of sports and activities to keep everyone amused and occupied. For those with children, we understand the attraction of Rory, Bradley, the rest of the Zoo Troop, the Funstars and all of the children’s entertainment!! 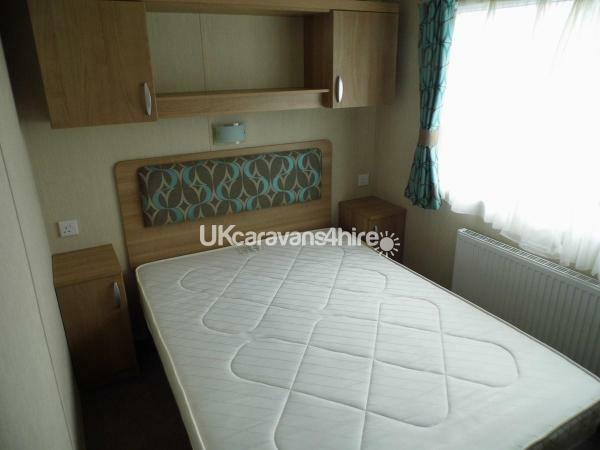 This is a caravan that is much loved by three children and we respectfully request no smoking – this is very important to us. This is the perfect base from which to explore the delights of West Wales. The beautiful and historic town of Tenby is on your doorstep there is easy access to Saundersfoot, Manorbir and Pembroke. Pembrokeshire is home to the finest beaches in the UK: Manorbir, Freshwater East, Saundersfoot, Pendine Sands (which strictly speaking is in Carmarthenshire) and Freshwater West are all recommended. Our favourite is Barafundle Bay (approx 25 minute drive) which is regularly voted the UK’s best beach. There are also numerous castles and other visitor attractions in the area (e.g. Dylan Thomas boathouse, Bosherston Lily Ponds). In addition, Tenby links golf course (Championship Standard) is a short walk away and there are plenty of opportunities for fishermen of all types. 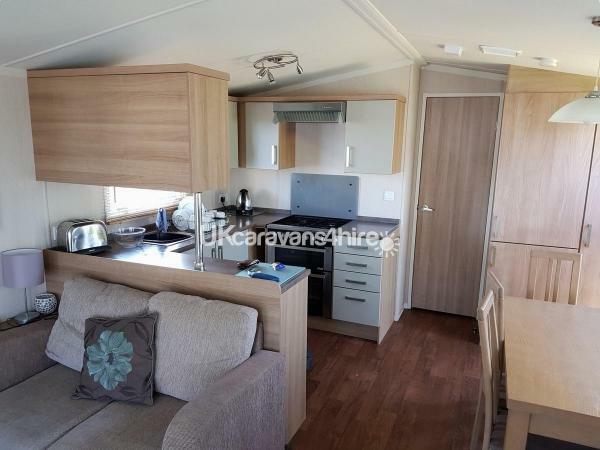 If you are considering purchasing a caravan at Kiln Park, please let me know as you can have £1000 taken off the purchase price through the Haven owner referral scheme.